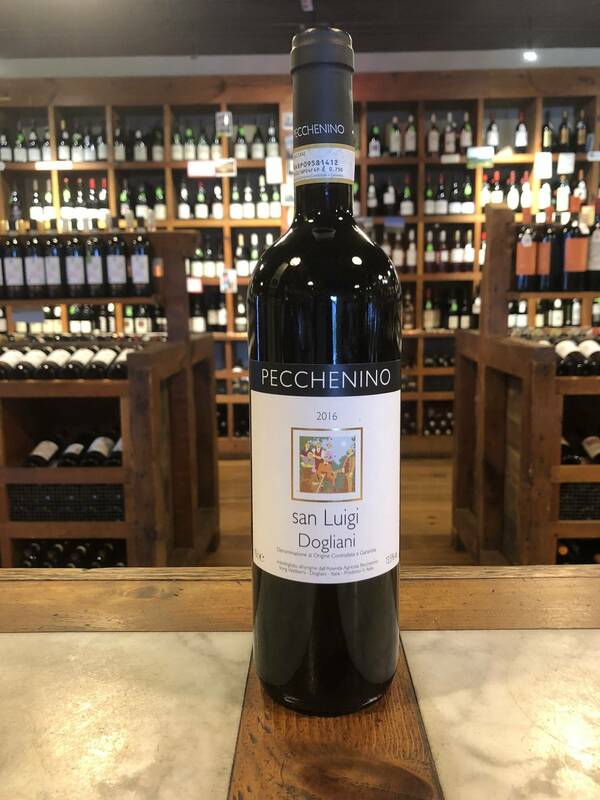 The Pecchenino San Luigi Dolcetto is grown in Dolcetto di Dogliani, Italy, in the Piedmont region of northwest Italy. Piedmont sits at the base of the Alps, forming its border with France and Switzerland. Piedmont is often referred to as the 'Burgundy' of Italy, due to its many small-scale, family wineries and an obsessive focus on quality. Piedmont is challenged only by Veneto and Tuscany for the top spot among Italian wine regions. The Pecchenino estate in Dogliani dates back to the end of the 1700's and has always been a family-run operation, with the holding handed down from father to son for generations. Dogliani is especially suited to the cultivation of the Dolcetto grape, with 70 % of the winery’s 25 hectares of vine being designated to the grape. In the vineyards, only natural sulfur and copper-based products are used. No herbicides, chemical weed-killers, or insecticides are used on the land. Dolcetto produces soft-styled, fruit-driven wines with low acidity. The Pecchenino San Luigi Dolcetto is fermented using natural, native wine yeasts. It was fermented and aged in stainless steel tank.